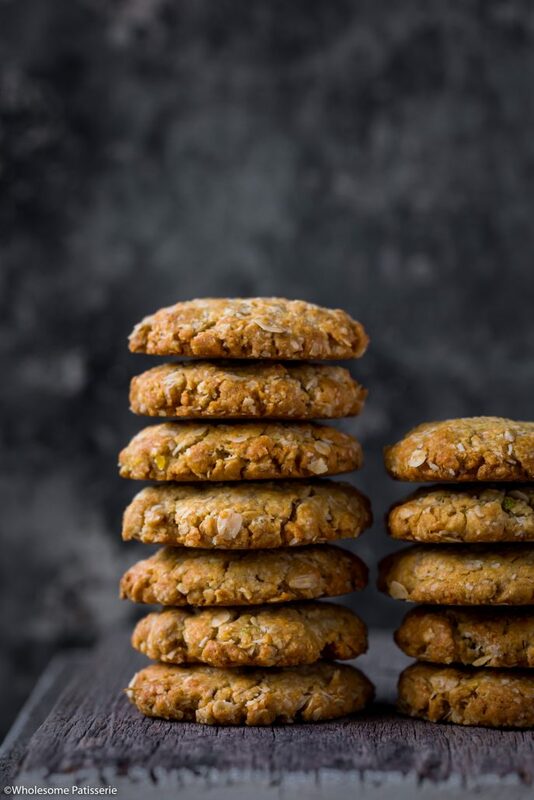 Anzac Day is on the 25th of April and today I’m sharing with you my Anzac Biscuit recipe. This recipe is incredibly easy to make and requires 10 ingredients. 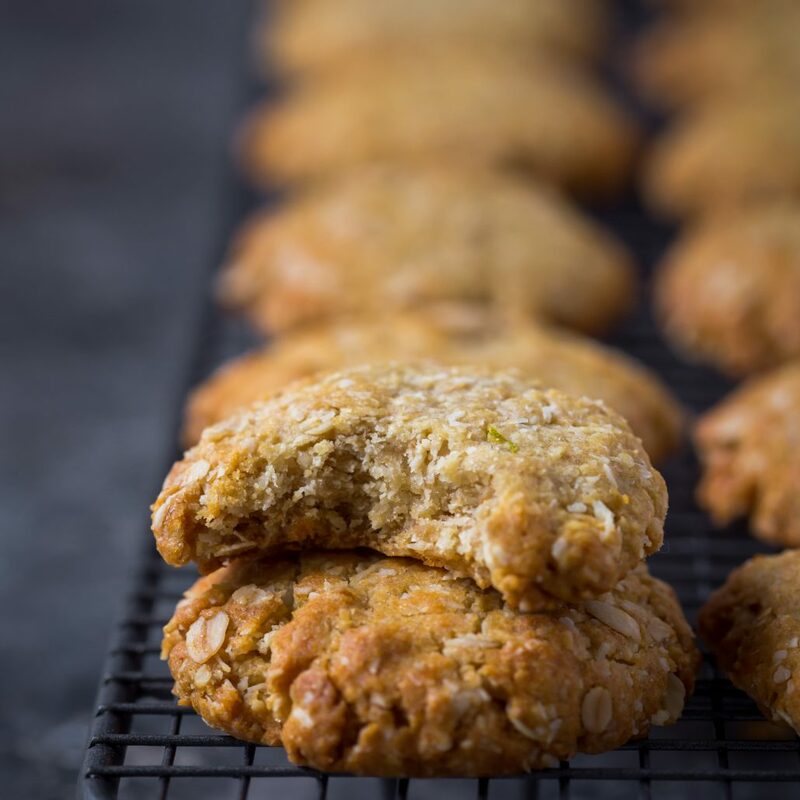 I chose to make the most traditional Anzac biscuit recipe but with a touch of fresh orange zest and brown sugar for a slight difference. 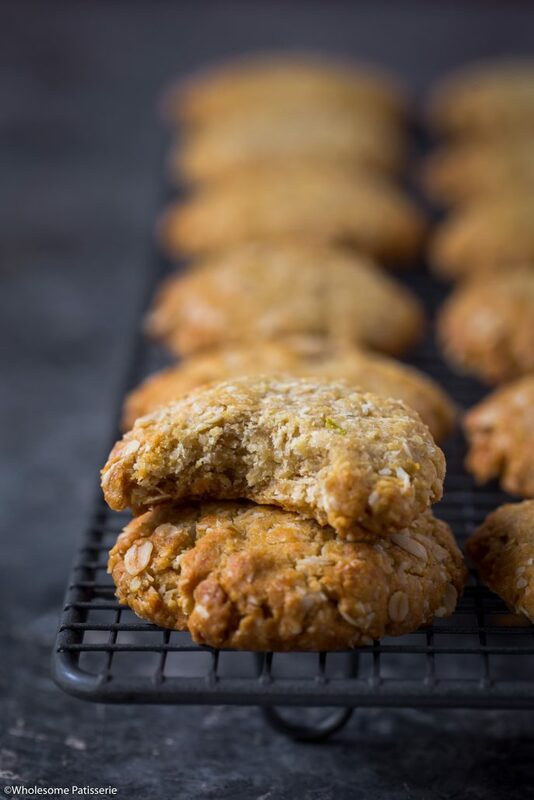 The orange zest offers a fresh new flavour and aroma, a wonderful addition for homemade Anzac’s. 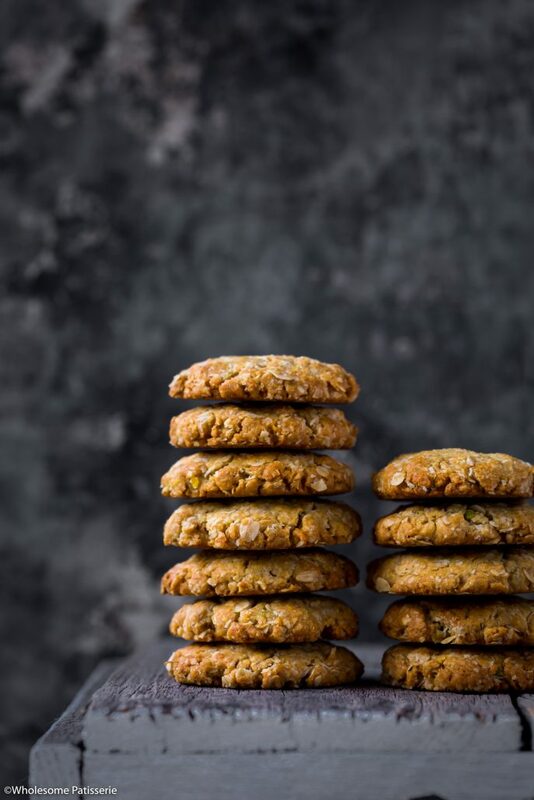 The brown sugar allows these biscuits to be soft and chewy as opposed to thin and crispy. 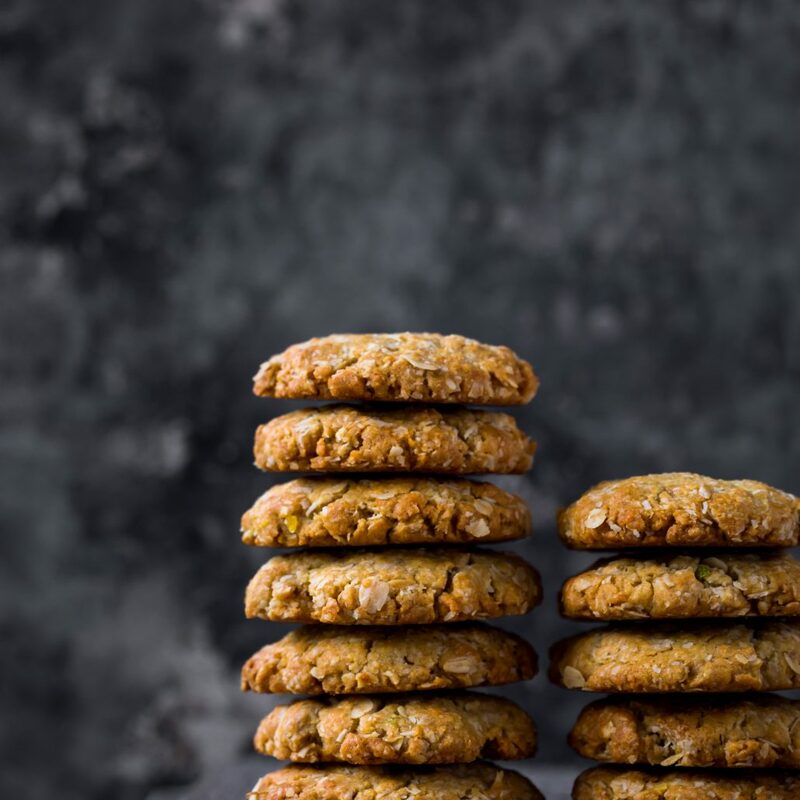 Brown sugar contains molasses which adds extra moisture to the cookie allowing for that chewy and soft finished texture. Anzac stands for ‘Australian and New Zealand Army Corps’, established in World War I. 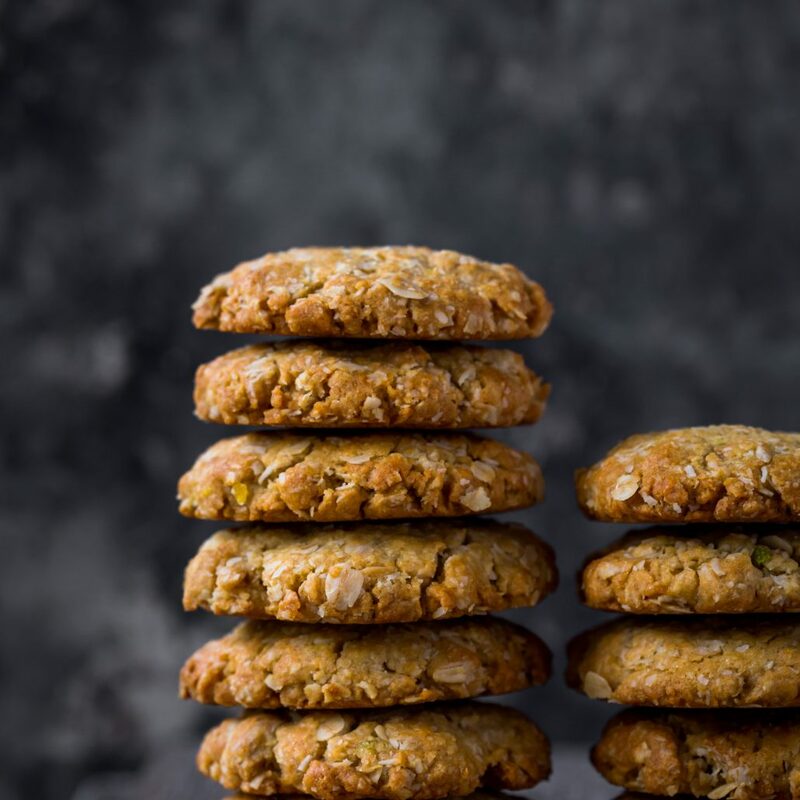 The biscuits were claimed to have been sent by soldiers wives to the soldiers in the war. This is because the ingredients in the biscuits don’t spoil easily and were perfect during naval transportation. Each year we commemorate Anzac Day and our Australian and New Zealand soldiers during the First World War. 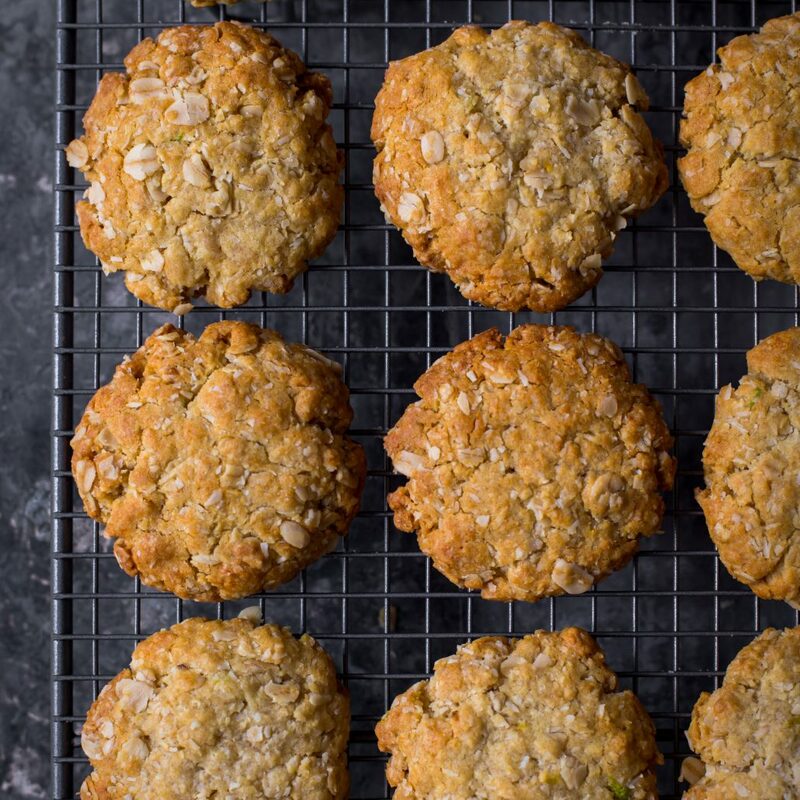 I hope you make and love these special Anzac Biscuits. Pre-heat oven to 160ºC (320ºF). Line a baking tray with parchment paper, set aside. In a large mixing bowl, add flour, oats, coconut, both sugars and orange zest. Mix well to combine. In a small pot, combine butter and golden syrup over a low-medium heat. Stirring occasionally, heat until butter has completely melted. Remove from heat. In a small bowl, add baking soda and pour over the boiling water, mix quickly to combine. Immediately pour into butter mixture and allow it to froth. Once frothing, straight away pour over dry flour mixture. Mix with a wooden spoon to combine well. Pick up approx. 2 tablespoons worth of mixture and roll into a ball (each should weigh approx. 30g). 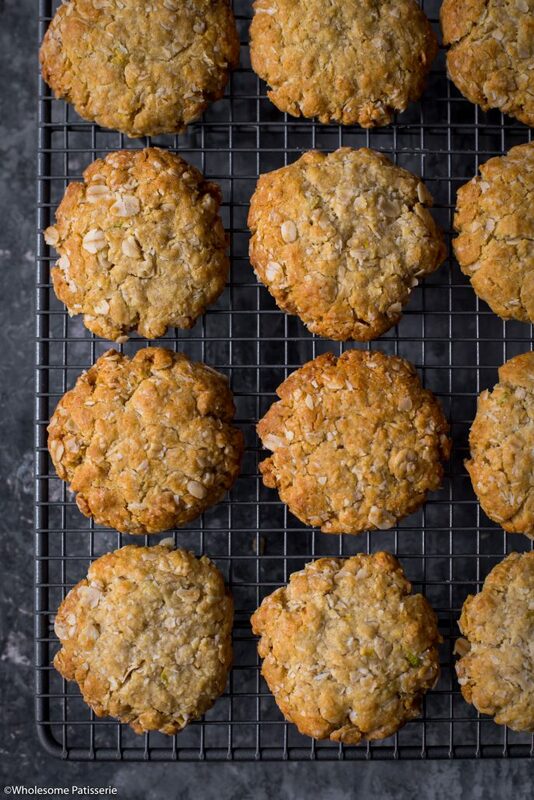 Place on lined tray and press down firmly using the palm of your hand to flatten into a round biscuit. NOTE: these biscuits don’t really spread, only puff up slightly. Bake for 8-10 minutes or until golden around the edges and slightly golden on top. Remove and cool on pan for 5 minutes. Store in an airtight container, in the pantry, for 4 days - 1 week. *Lightly packed brown sugar means to press the sugar lightly into your measuring cup using the back of a teaspoon, add more, lightly press down again, until the amount of sugar reaches the brim.